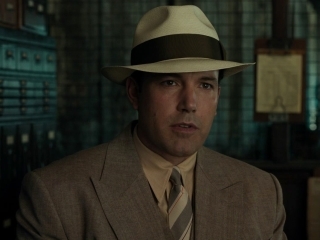 The Lowdown: Many compelling elements lace this Prohibition-era gangster epic with intrigue, but writer-director Ben Affleck doesn’t quite bring them all together in a satisfying way. 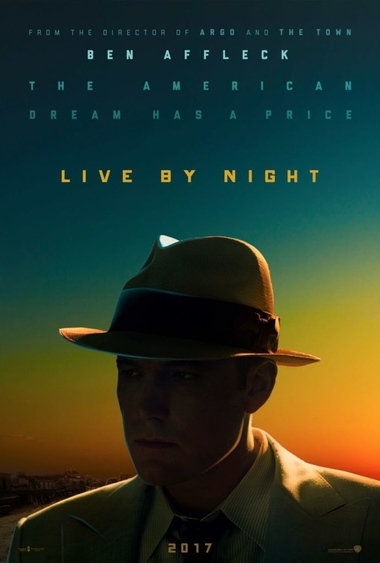 Prohibition-era gangster epic Live By Night is a lavishly produced, well acted, and overall highly ambitious piece of work. But despite a great sense of style, it rings kind of hollow. Its main problem is the non-character at the story’s center. Ben Affleck plays career criminal Joe Coughlin with plenty of smooth charisma, but at no point is it made clear who Joe really is or why we should care about him. Affleck also wrote and directed—there’s plenty of visual razzle-dazzle in the film’s action-oriented sequences. A raucous car chase scene following a bank heist is but one confidently-staged highlight. But this fourth go-round for Affleck in the director’s chair is also his first miss, albeit only a partial one. Based on Dennis Lehane’s acclaimed 2012 novel of the same name, Affleck’s adaptation is never less than watchable. It just feels muddled and incomplete. Joe is an outsider to the organized crime world. In addition to being a World War I vet, his father Thomas (Brendan Gleeson) is a Boston police captain. Why does Joe end up going so wrong? That’s the hardest thing to understand about Live. Despite his proclivities toward violence, Joe’s a romantic at heart. He’s deeply in love with Irish crime boss Albert White’s (Robert Glenister) moll, Emma (Sienna Miller). But when Emma dies in a police chase, Joe hold’s White accountable. Maso Pescatore (Remo Girone) is White’s rival boss, a powerful man with whom Joe develops an uneasy, uneven partnership. Joe sets up speakeasy’s all over Florida, securing business for Pescatore while simultaneously drying up White’s operations. Much of this plot activity follows the well-worn template previously honed by countless Mafia films. Joe wiggles his way into the good graces of Tampa sheriff Irving Figgis (Chris Cooper), commits some heinous acts in order to stay a step ahead of the law, and inches closer to exacting revenge over his enemy White. But his buried-deep-down virtuousness separates him from his partner Dion (Chris Messina, funny and likable). It’s Joe’s lovelorn romanticism that distinguishes Live By Night. He develops a new relationship with Graciela Corrales (Zoe Saldana). Just as was the case with Emma, Joe genuinely seems committed to Graciela. Affleck insists on presenting Joe as a hero, however deeply flawed he may be. 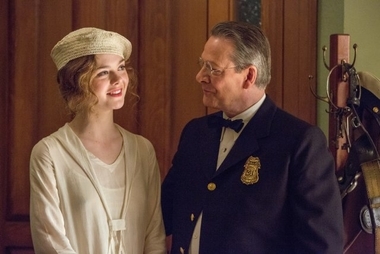 But Joe’s virtues never quite square with the wicked maneuvers he consistently makes, including a particularly vicious subplot involving Sheriff Figgis’ teen daughter Loretta (Elle Fanning). Live By Night posits itself as a story of hard-earned redemption, without actually allowing Joe to earn it. Joe glides through too even-handedly. We’re never allowed to glimpse the inner workings of his psyche—yet Affleck wants us to identify with and respect Joe. Still, the framework of a strong movie exists here and a few late-third-act surprises help make Live By Night worth checking out.